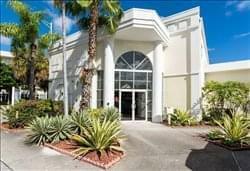 Find My Workspace lists over 95% of the executive office suites market in Wilton Manors (Florida). Simply click Request Quote to check pricing for one office, or Add to Basket for multiple offices. This center is a very unique and beautiful center. Its impressive lobby was designed by Sir Alan Duddle with high end marble & walnut wood trimming, making it an ideal location for local professionals needing easy access to the office and surrounding community. This center features 24/7 access to work any time and any day that is needed. It has a shared lobby for clients and guests that come in. The conference rooms are perfect for team collaboration and the kitchen is a bonus for all! The beautiful features will leave you in awe and your clients will be very impressed with this professional set up.